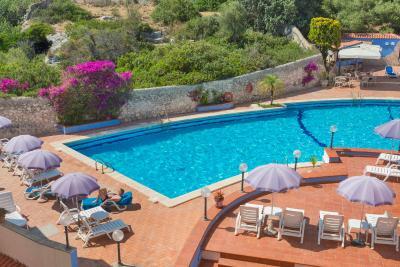 Lock in a great price for Grand Hotel Villa Politi – rated 8.5 by recent guests! Breakfast offered was fabulous. Way more than I expected. The breakfast was very good. 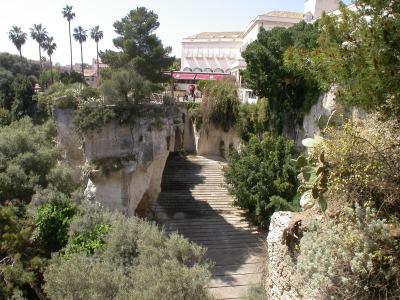 The location was a bit far (to walk) to Ortigia and through a not so nice area. The hotel was a pleasant surprise. It radiated its history and was a pleasant stopover for a few nights. Given we experienced rain while in Syracuse it was a good location to chill between rain storms. It was a little further away from the main town than anticipated but if you like to walk this is not a problem. Front desk & wait Staff Very attentive & helpful. Quiet room. Property is clean & well attended. This place is beautiful, classic and elegant. There is a lot of spaces inside and outside the property to enjoy. They bake there own pastries and bread on the property. I can’t say enough about how DELICIOUS they were. Very generous amount of food for breakfast. Plus they have a granita machine which was great to be able to have as it was hot outside. The staff was incredibly aconmadating and helped me with transportation. The view from my room was stunning. Staff were competent and there was a nice pool area. The hotel was within a very easy reach to Ortigia (about a 7 minute drive with no traffic). 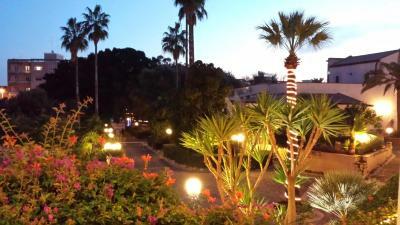 The hotel itself is set on beautiful grounds. 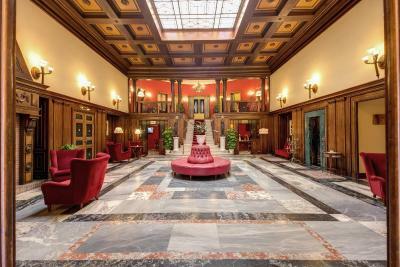 Here is an extraordinary classic European Grand Hotel set in an exquisite location. Wonderful and caring staff - most spoke good English. 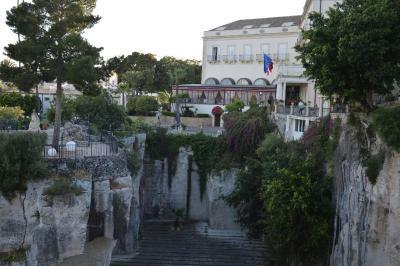 Although a little out of Siracusa - a quick cab ride or nice walk along the Coast is worth the value guests derive by staying at this facility. Good they offer free parking - big plus. 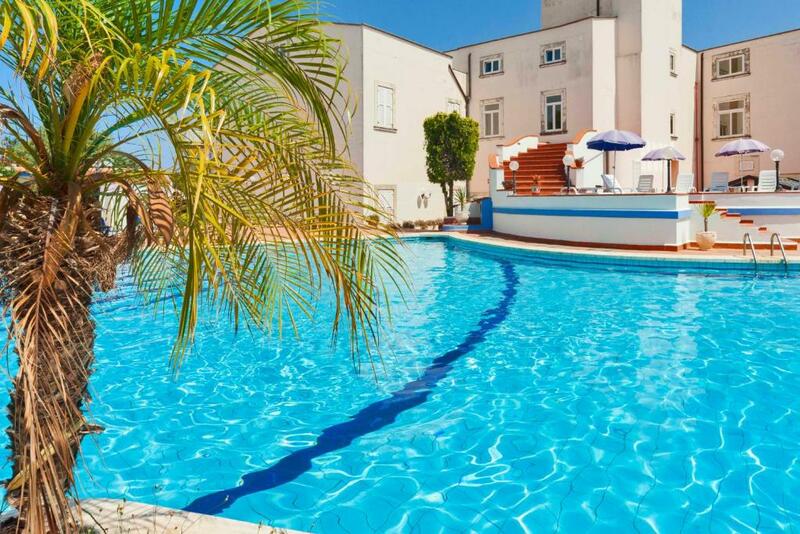 Grand Hotel Villa Politi This rating is a reflection of how the property compares to the industry standard when it comes to price, facilities and services available. It's based on a self-evaluation by the property. Use this rating to help choose your stay! 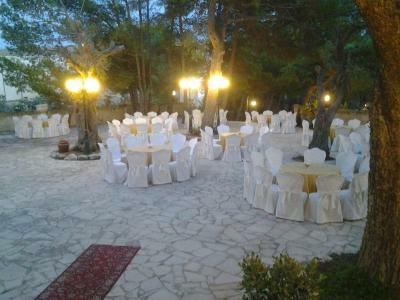 One of our top picks in Syracuse.Grand Hotel Villa Politi is located in the center of a spectacular, natural amphitheater, within the ancient Sicilian quarries known as the Latomie dei Cappuccini. 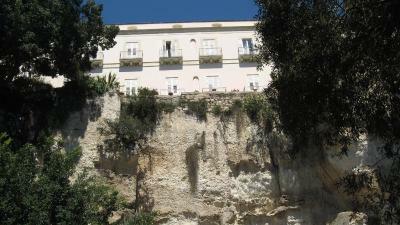 Grand Hotel Villa Politi is a truly original establishment, rising on an ancient cliff. 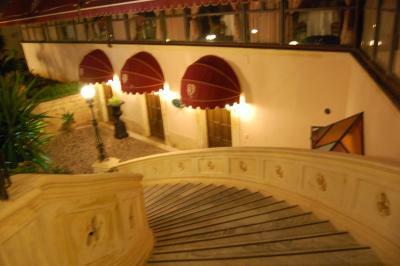 The hotel occupies 3 floors and has many original architectural features. From the windows you can enjoy a fairytale view of the Mediterranean Sea. 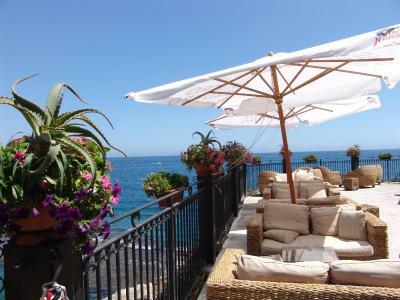 Guests at the Villa Politi can enjoy special rates at an adjacent sea-front sun terrace, set on the rocks with umbrellas and deck chairs, and available from mid-June until mid-September. Check out the new add-on option when booking and guarantee your half-board service in advance. 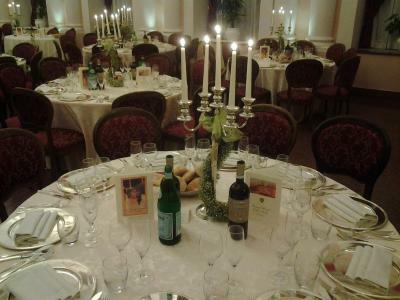 When would you like to stay at Grand Hotel Villa Politi? 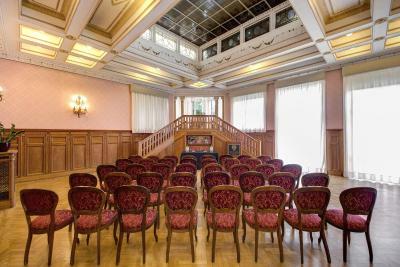 This is a bright room featuring Art-Nouveau furniture, windows overlooking the Latomie Park. The private bathroom has either a bathtub or a shower. Bright room featuring Art-Nouveau furniture, and a private bathroom with bathtub or shower. 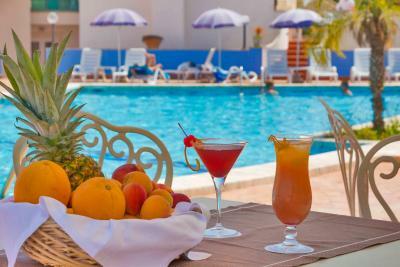 Offers a balcony, suit press and pay-TV channels. 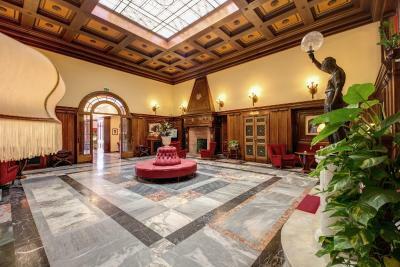 Bright room featuring Art-Nouveau furniture, windows overlooking the Latomie Park or the street. Private bathroom provides a bathtub or shower. Bright room featuring Art-Nouveau furniture, windows overlooking the Latomie Park or the garden. Private bathroom provides a bathtub or shower. Suite featuring Art-Nouveau décor, spacious living room with carpets and comfortable armchairs, LCD TV and a canopy bed. Balconies offer stunning views of the Latomie Park. A private bathroom includes a shower. House Rules Grand Hotel Villa Politi takes special requests – add in the next step! Grand Hotel Villa Politi accepts these cards and reserves the right to temporarily hold an amount prior to arrival. One of the most picturesque neighborhoods in Syracuse! Water was cold sometimes in shower. There was scaffolding meaning one room couldn't open shutters so dark all the time. 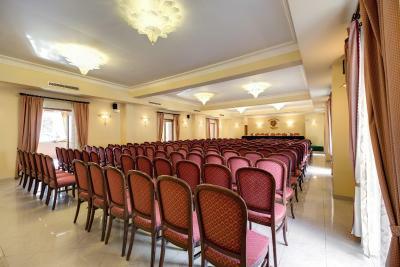 Hotel facilities are very old and need to be updated, the same as many things in the room need maintenance. The hotel is a bit out of the city center, not walking distance. to the center. Beautiful territory and wonderful view from the room, nice pool area, good breakfast, big parking lot, standard double room is big and nicely decorated. The rooms are very clean, the beds are comfortable. Surprised that to get to our room we took the elevator and then had to go down a set of stairs. If there was an easier way we didn't find it. There were workers on our balcony outside our room starting at 7:00am We complained and they changed our room. We ate the first night in the dining room. The meal was over-priced for what we got. I wish the pool could have been available because we had nice weather and I would have gone in it. A really beautiful hotel. We wanted a room with a bath and the staff were very happy to accommodate us. We had a lovely meal in the restaurant. Breakfast was superb. Secure parking was a bonus. We had a lovely view from our balcony of the ancient quarry. 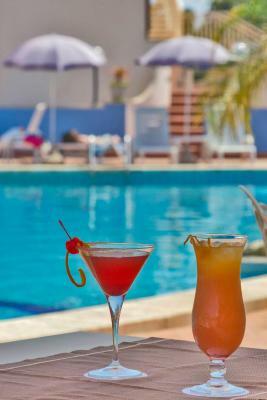 The hotel had a lovely atmosphere and very nice feel and the staff were very helpful and friendly. 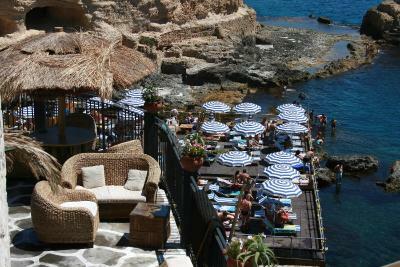 The hotel is not so close to the Ortigia.This did not compromise because we were by car and it was easy to park next. By the way, it is possible to walk till the isla, if you are not tired. To Neapolis, it is very close . Everything was excelent. 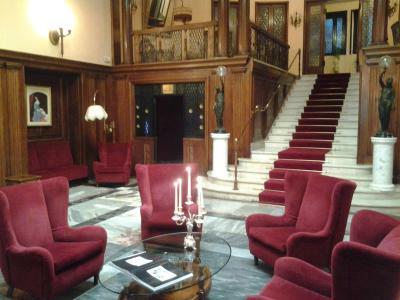 The hotel is charming, the rooms are confortable and clean, the attendants were kind and the breakfast was very good. The WiFi was weak in the bedroom, and the walls are thin, meaning noise carries a long way. My bedroom's shape was trapezoidal, which meant skirting around the bed. The stair carpets could do with a thorough clean or replacing. A complete breakfast, very attentive staff, who always try to be helpful. The shower was good. Bed was supportive. There was a lift from the taxi area to the reception on the first floor. Own restaurant and bar, and a secure space to store luggage after check-out is available, if required. Breakfast was pretty good, the choice was more than enough for my taste. Room was comfortable. 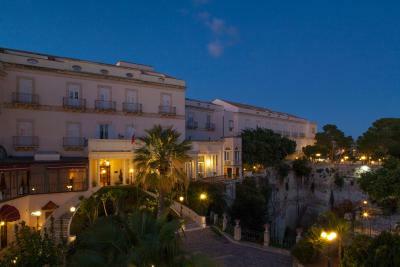 We scheduled our stay in Siracusa only for one day so we cannot stay longer to enjoy the atmosphere of the hotel. A comfortable four-star hotel overlooking ancient quarry making the scenery unforgettable. What else to add? Stylish room, good selection for breakfast, helpful staff, Agatha Christie vibes. 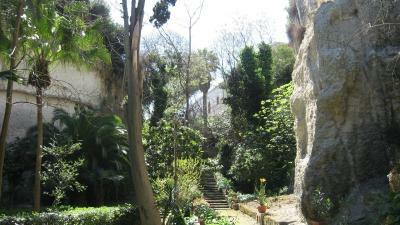 Close to archeological park, walking distance to Ortigia.